Carolyn Burke - Carolyn Burke was born in Sydney, spent many years in Paris, and now lives in Santa Cruz, California. She graduated from Swarthmore College and earned a Ph.D. in English Literature from Columbia University. She is a member of PEN and the Authors Guild. A practitioner of Zen Buddhism, she took the precepts with Tenshin Reb Anderson in 2010. Her latest book, No Regrets: The Life of Edith Piaf, was published in 2011 by Knopf (U.S.) and Bloomsbury (U.K.) Since then it has appeared in French, Spanish, Portuguese, Ukrainian, Czech and Russian. The definitive life of the chanteuse, No Regrets has been called "an eloquent embrace of the famed French singer-songwriter" (Publishers Weekly, starred review); "sympathetic . . . captivating . . . highly effective" (New York Review of Books); "masterful storytelling" (Library Journal); and listed among the best books of the year by the San Francisco Chronicle and the Sunday Times (U.K.). Burke has performed with singers of Piaf's repertoire in Paris (Caveau des Lgendes), London (The Vortex), Los Angeles (Catalina Jazz Club), and San Francisco (City Lights/Litquake). She recently took part in the BBC 4 special on Piaf's iconic song "Non, je ne regrette rien" and in the U.S. Postal Service's launch of their Piaf stamp. Burke's Lee Miller: A Life, published by Knopf and Bloomsbury in 2005 and Autrement in 2007, was a New York Times Notable Book of the Year and a finalist for The National Book Critics Circle Award. The Chicago Tribune gave it a cover review; People called it "a great read"; The Telegraph (U.K.) judged, "Lee Miller was an astounding woman, brought memorably to life by this astounding book." Burke appears in the BBC's docudrama Lee Miller: A Crazy Way of Seeing. Her interest in Miller began when she met the photographer while working on her first book, Becoming Modern: The Life of Mina Loy (FSG, 1996). Becoming Modern won praise in the TLS, the New York Times, the Washington Post, the Atlantic, The New Republic, and The Nation. The definitive life of the expatriate artist/poet, it sparked a Loy revival, including a cabaret musical about her. Burke's essays and translations have appeared in many magazines, including Heat, Vogue, Poetry Flash, La Nouvelle Revue Franaise, and the New Yorker. 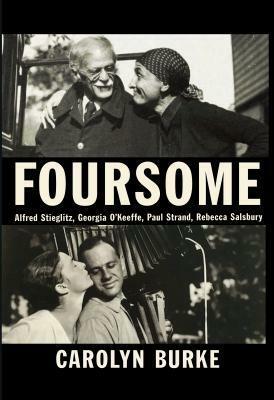 Her art writing includes essays in Artpress, Art in America, and in exhibition catalogues (Roland Penrose and Lee Miller: The Surrealist and the Photographer; Julien Levy: Portrait of an Art Gallery). She has taught non-fiction and life-writing at book festivals and universities in the U.S., Australia, New Zealand, and France. Recent appearances include talks at CUNY's Women Writing about Women seminar, NYU's Maison Franaise, Princeton University, Universities of New South Wales and Sydney; radio talks and readings (NPR, BBC, Australian Broadcasting Company); and for No Regrets, musical soires in some of these same venues. She is currently writing a group portrait about the intertwined lives and work of four twentieth century artists.